The February issue of Tabletalk is out. This issue examines the biblical doctrine of eternal punishment. This doctrine has come under increasing attack in recent years, not only by those outside the church who ridicule the very idea, but also by many within the church who reject it for misguided reasons. 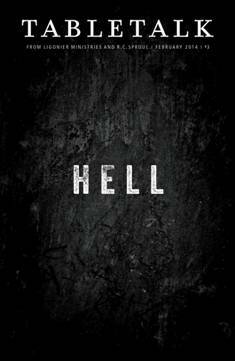 Many argue that the doctrine of hell is unjust. Others argue that it is unloving. Some argue that it is inconsistent with the idea of God’s victory over evil. The reasons for the rejection of the doctrine of hell are many and varied, but the fundamental question remains the same: What hath God said? When we focus on this question, the answer is clear. The consistent teaching of the Bible is that those who reject Christ will be cast into the lake of fire, where they will be punished forever. Contributors include R.C. Sproul along with John MacArthur, Robert A. Peterson, John Blanchard, Christopher W. Morgan, Steven J. Lawson, R.C. Sproul Jr., Michael Reeves, Brad Waller, Jay E. Adams, Joe Carter, Tim Challies, Albert N. Martin, and Eric B. Watkins. What Are You Worried About by R.C. Sproul Jr.
What’s So New About the New Covenant? The May issue will examine the biblical doctrine of the new covenant and will seek to clarify exactly what is new and different about the new covenant.